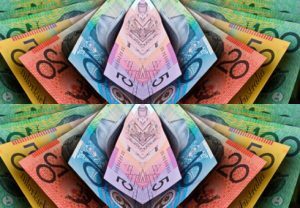 Australian Dollar was impacted as optimism towards next week’s OPEC meeting also gave commodity-correlated currencies a boost. But the Australian Dollar struggled against other currencies as high Fed rate hike bets left risky currencies with modest demand at best. New Zealand Dollar (NZD) – The Pound to New Zealand Dollar exchange rate experienced similar movements to GBP/AUD as some investors returned to risk and bought the ‘Kiwi’ up from its lows. While typically volatile, the GBP/NZD exchange rate has seen little real movement over the last week. Traders have been hesitant to continue selling off the ‘Kiwi’ past levels of key psychological support due to strong underlying factors like dairy prices. Pound Sterling (GBP) – Traders spent most of Tuesday’s session adjusting and preparing for Wednesday’s highly anticipated Autumn budget statement from UK Chancellor of the Exchequer Philip Hammond. As this is Hammond’s first budget statement since becoming the new Chancellor, analysts are uncertain about how dovish or optimistic he will be. However, while yesterday’s public sector net borrowing scores were the lowest since 2008 (at just £4.8b) analysts noted that the current financial year’s deficit was well on track to miss targets. As a result, investors began to expect that the Chancellor would have less wiggle room to use fiscal stimulus to ease the economy into the Brexit. Markets also grew concerned about how long Britain’s extraordinary deficit would take to lighten at this current rate. The Autumn Statement will be made around noon on Wednesday and analysts predict slower growth forecast, lower tax revenue and higher employment benefit costs. Some expect Hammond will soften slightly on the tough austerity measures of his predecessor George Osborne. Sterling is likely to react to the Autumn Statement throughout the day. US Dollar (USD) – The Pound to US Dollar exchange rate gave up around half of its Monday gains during Tuesday’s session. On Tuesday, bets that the Federal Reserve would hike rates in December climbed to a never before seen 100%. This optimism gave the US Dollar another shot in the arm despite ‘Greenback’ bullishness previously fading on Monday. While Fed rate hike bets slipped again on Wednesday morning, they remained above 90%. If the Fed does hike rates in December the US Dollar is likely to continue enjoying an uptrend against the Pound. Euro (EUR) – The Pound to Euro exchange rate lost most of its Monday gains on Tuesday and continued edging lower as the week progressed amid concerns about Britain’s account deficit and jitters ahead of the Autumn budget statement left the Pound slumping. The Euro ticked higher against rivals including the Pound on Tuesday as traders bought the shared currency up from its lows. Euro trade was given an additional boost thanks to the latest Eurozone consumer confidence score beating expectations, improving from -8 to -6.1. This indicated to analysts that Eurozone growth could hit 0.4% in Q4. Wednesday morning saw the publication of the Eurozone’s preliminary November PMIs from Markit. French figures all came in above expectations, but over in Germany Manufacturing slipped further than expected from 55 to 54.4. The Eurozone’s overall scores beat expectations, however, with Composite PMI coming in at 53.7, increasing hopes of solid Eurozone activity in November. Canadian Dollar (CAD) – The Pound to Canadian Dollar exchange rate lost its Monday gains on Tuesday as the Canadian Dollar continued to benefit from bullishness towards Canada’s most lucrative commodity, oil. Oil prices held near their best levels on Tuesday as traders grew excited about the prospect of OPEC detailing its oil output cap plans in its meeting next week. While prices slipped later in the day and continued falling on Wednesday due to fresh doubts that OPEC’s deal would produce satisfying results, the Canadian Dollar performed solidly and pushed GBP/CAD lower.